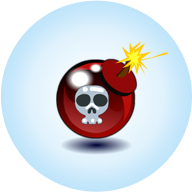 Blow up crates, enemies or even yourself by placing bombs, mines and who knows what else! Blowing up yourself might not be the best idea, though... This is the world of Exploders! Everybody can learn how to play Exploders, but becoming a real Exploder will take some practice. You can grab power-ups to make yourself stronger, but watch out: not every power-up has a positive effect! 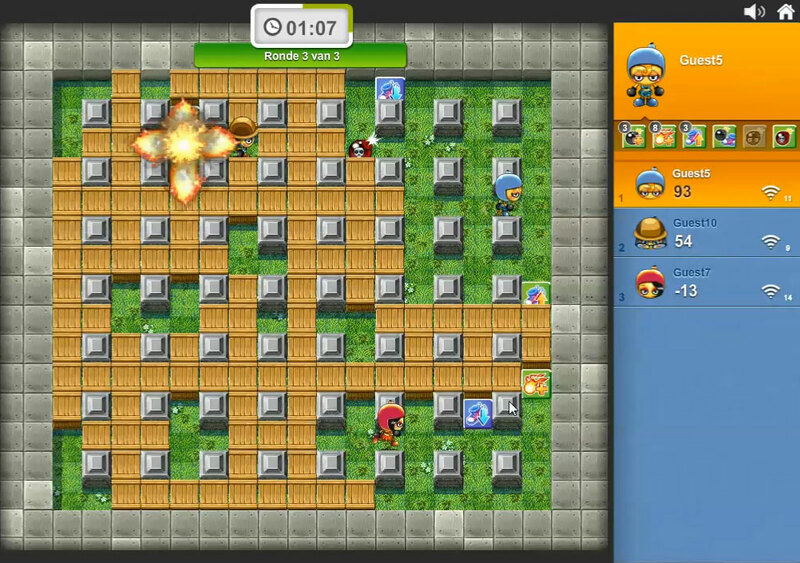 Play for fun or prove that you are the best Exploder by beating everyone and take first position on the leaderboard! The Exploders beta is live! 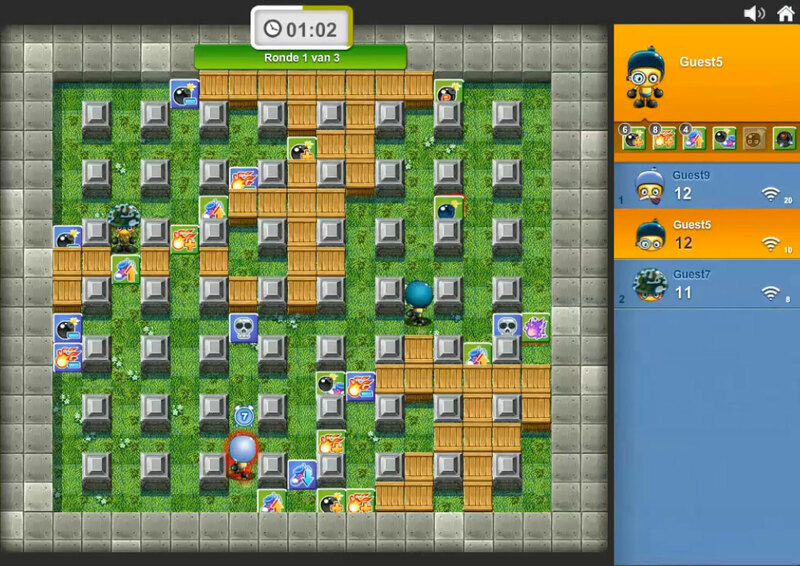 You can now add friends, chat with other people in a chat room and even chat with them in a game. You can also have a private chat with your friends. There are still some minor issues we need to fix, so please be patient while we try to create the best Exploders experience for you! Only a few more days to go until the Exploders beta will be released. For this beta all accounts will have a one time only reset, so please make sure to register your username on the 29th of August before it's taken! This beta will have friend functionalities, in-game chat and many more exciting features. 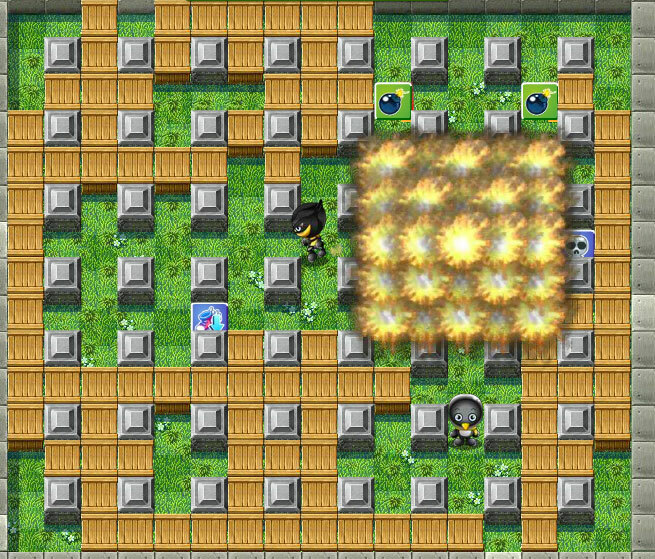 Public Exploders alpha version officially released. Today the public Exploders alpha version is released on Exploders.com. Inside the alpha version you will find some new elements that have not yet been released. When you hover on these elements, they will display 'Coming soon'. New features will be uploaded regularly in the next months. 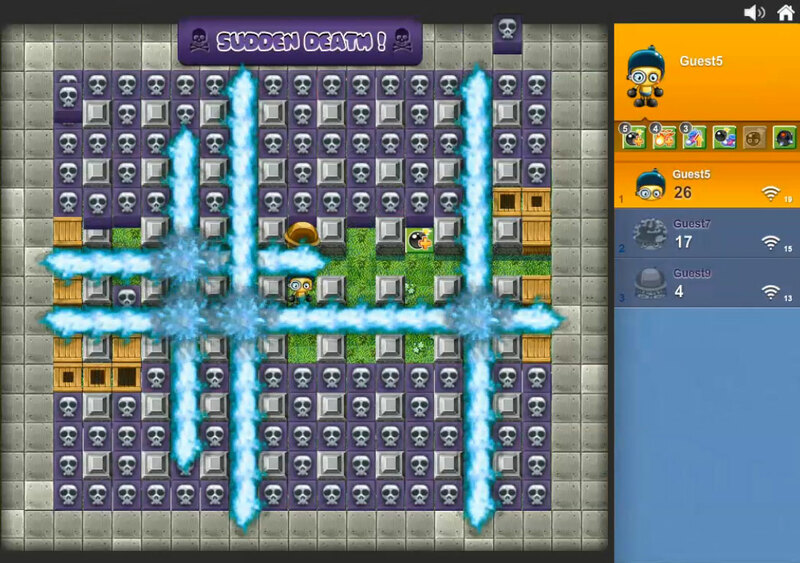 There are many features in Exploders that you’ll need to know to truly master the game. In this section you will learn about the main features that Exploders offers. If you want to learn more about Exploders, you can find step-by-step walkthroughs in the media section below. Everybody starts the game with a normal bomb. While the initial blast size isn’t big, it should be big enough to beat your enemies. Power bombs will explode in the same way, but have an endless blast radius. 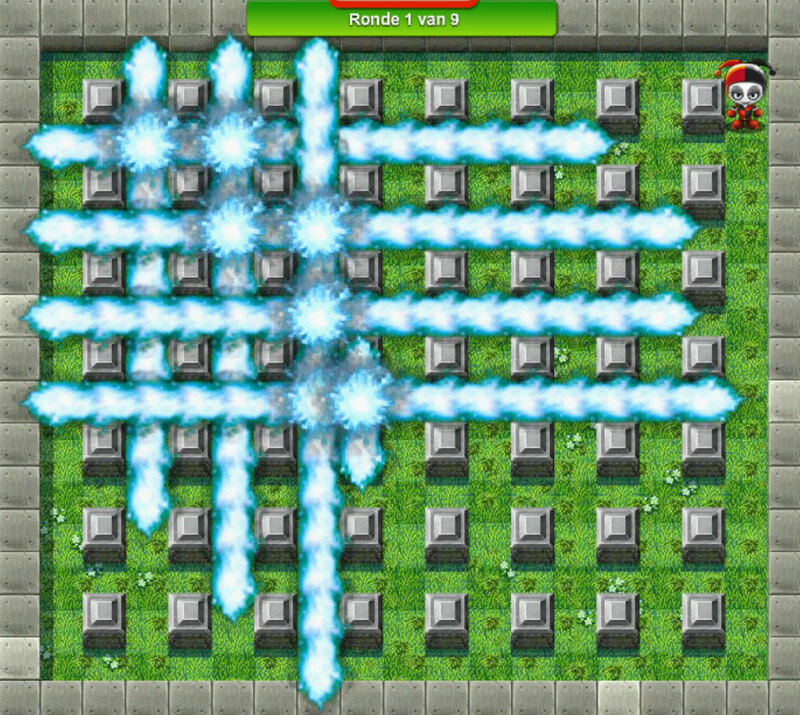 Spike bombs will blow up everything in their paths: nothing will block these explosions. 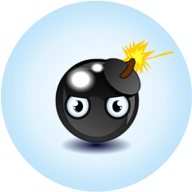 The bouncing bombs and dangerous bombs are special in their own way. Bouncing bombs will bounce off everything they hit, including yourself. Dangerous bombs, unlike other bombs, don’t blow up in a straight line. Instead, they blow up everything within a 5 by 5 squared area. During each round, your character can become stronger by picking up power-ups. 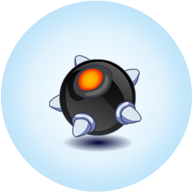 These power-ups are green and enable you to walk faster, enlarge explosions and drop more bombs at a time. But watch out, not every item you pick up strengthens your skills: power-downs are blue and weaken your character so be careful what you pick up. Kicking a bomb gives you a lot of power, but you can only do this after you picked up the bomb kick power-up. 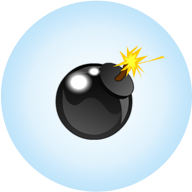 With this bomb you can kick every bomb that you encounter, both stationary and moving bombs. All the bombs can be kicked. Always liked to play hide and seek? Confuse your opponent for a moment by turning into a bomb. After you picked up the bomb change, you can activate and deactivate it by using the shift key. Skull pick-ups have a surprising effect that can be either positive or negative. This mysterious pick-up contains a random disease that can affect your speed or bombs blast. It can also add other temporary effects. Don’t worry though, diseases last a certain time and if you want to get rid of them sooner, you just need to touch an opponent and he will catch your disease! We are far from finished. More and more features will be released as we go along. When we release a new feature, you can read about it in ‘News’, get the full specs in ‘Updates’ or follow the walkthrough in media. Are you an Exploders fan? Then this is the page for you! We can help you and answer your questions! 1. I previously played the old Exploders on a different website. Can I use the account that I created there? Yes you can. If you start Exploders on the website where you previously played, your account will automatically be converted to an Exploders account. 2. What happens if my old Exploders username is already taken in Exploders? If your username is already taken in Exploders, you will be asked to choose a new username when you log in to the game. 3. What happens with the skillpoints I acquired in the old Exploders? When your account is converted, all skillpoints will be added to your new account. 4. What should I do when I experience problems in Exploders? Should you have any problem, please contact the Exploders Customer Service team and let us know what the problem is. You can do so by using the contact form at the bottom of this page. 5. Can I play Exploders in my own language? Exploders is currently available in 6 languages; English, Russian, Portuguese, German, Dutch and Turkish. You can change your preferred language at any time in the lobby menu. 6. Do I have to install any software and/or plug-ins to play Exploders? To play Exploders you need to have the flash player plug-in installed in your browser. More than 90% of all the computers in the world already have the flash player installed and your computer is probably one of them. 7. Are there any servers located near my living place? At this time, Exploders has servers at the following locations; Miami (USA), São Paulo (Brazil), Ankara (Turkey), Amsterdam (Holland). Depending on your geo location, we will automatically select the server closest to your location to offer you the best experience possible. 8. Am I allowed to select any server I want, regardless of my location? Yes, you can select any server you want in the ‘Rooms’ screen. However, keep in mind that your connection quality may be affected by selecting a server that is not located within your region. 9. Where can I find information about game updates? Inside the game you can read detailed information on newly released features. To read them, please first click on the gear-shaped button on the right side of the screen to open the settings menu. Then click on the help button (question mark). Finally click on the rightmost tab that displays the updates. Thank you for contacting us. Your message has been sent to the Exploders Customer Service. Welcome, your account is activated now! Where these terms of service refer to Website they refer to the Exploders website, accessible at http://www.exploders.com. Where these terms of service refer to User, reference is made to the person who visits the Website and plays the Exploders game. 1.1 The services that Exploders ("Exploders") provides, consists of providing the Website where Users, after an optional registration, can play games and can make use of other software and/or services in accordance with these terms of service and any other additional applicable terms for the service in question. 1.2 For the availability of the Website and the games/services offered on it, Exploders depends on the proper functioning of the systems of the User and of the underlying Internet infrastructure, which Exploders cannot control. Exploders cannot guarantee that the Website and/or the games offered on it and/or other services are available at all times to the User. 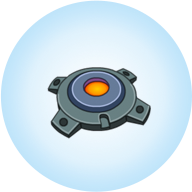 1.3 Exploders reserves the right to temporarily interrupt the Website and/or the games/services provided thereon in order to provide for maintenance of, or upgrades or improvements to the Website, the games/services in question or Exploders' computer systems. 2.1 With each use on this Website of a game or other software and/or service by User, an agreement is entered into between Exploders and User. 2.2 If you decided to register for a User account on the Exploders Website, you provide a valid email address, password and a Username ("Login Credentials") in order to complete the registration process. You are responsible for maintaining the confidentiality of your Login Credentials, and are fully responsible for all activities that occur under your Login Credentials. If you use the Exploders Website in a way that is not authorized by these terms of service, including in a way that is not allowed under our chatroom rules, and any other posted community rules, we can suspend your account temporarily or delete it. 2.3 You agree to (i) immediately notify Exploders of any unauthorized use of your Login Credentials or any other breach of security, and (ii) ensure that you exit from your account at the end of each play session. You may not register twice or use more than one set of Login Credentials when you access or use the Exploders Website. Sharing your Login Credentials with anyone else is a violation of these terms of service, and if at any time Exploders learns that you have given others access to your Login Credentials, Exploders reserves the right to terminate your account and your access to the Exploders Website immediately. 3.1 Exploders may make certain additional features of the Exploders Website available in return for payment. Information on the prices of the premium features offered, the functions included with these premium features and their requirements for use can be obtained from the Exploders Website. Depending on the premium feature and price, a one-time payment may have to be made in order to credit a User account with features or items which may be used for certain purposes subject to the respective rules of the games on the Website, or to make payments which are due periodically, such as on a daily, weekly, monthly, quarterly, semiannual or yearly basis. All prices listed include all possible applicable taxes. Any credit cannot be transferred to another User. 3.2 The games on the Website are updated regularly. Exploders reserves the right to offer new premium features at any time, and prices advertised on the Website and in any advertisement can be changed without prior notice. In the course of adapting and developing the games, Exploders also reserves the right to discontinue individual premium features and/or to offer them only in the basic version of the games. All Users are excluded from reimbursement of fees paid. In the event of a permanent discontinuation of a game, we may credit you for other Exploders games or reimburse all fees paid in advance. If the User is a minor, he or she expressly declares when ordering the premium features that he or she has received the means of payment necessary for these services or were freely available to him or her. 3.3 User agrees that Exploders immediately begins with the performance of its services, and that User consequently does not have the right to rescind the agreement for a period of seven to fourteen days following section 7:46d(i) of the Dutch Civil Code (or the relevant local implementation of the relevant provisions of Distance Selling Directive (Directive 97/7/EC) or the Consumer Rights Directive (Directive 2011/38/EU), whichever applies. 3.4 Costs incurred for Internet access in order to (be able to) visit the Website are for the account of the User. 4.1 The use by User of the games/services offered on the Website is subject to the restrictions in these terms of service. 4.2 The games/services offered on the Website may only be used for personal and non-commercial purposes. 4.3 When using the games/services offered on the Website it is not permitted to: a. infringe on the intellectual property rights of Exploders and/or its suppliers, whereby intellectual property rights include copyright, database rights, neighboring rights, trademark rights, patent rights or other rights of industrial or intellectual property; b. collect personal data of other Users of this Website or to publish personal data from anyone other than the User; c. make abusive, harassing, offensive, discriminatory, rude or otherwise indecent (all to be assessed by Exploders in its sole discretion) comments against one or more individuals or institutions; d. to offer goods and/or services for sale, for rent, for loan or otherwise; to advertize; e. to disrupt or limit the operation of this Website, which in any case is understood to include the circumvention of technological protection measures, the damaging of a computerized work and/or stored data of Exploders and/or parties engaged by it, and the overloading of computer-systems and/or computer-networks of Exploders and/or of parties engaged by it; and/or f. to otherwise act in breach of any law or applicable regulation, or to otherwise act unlawfully to or harm Exploders and/or third parties engaged by it. 4.4 Exploders reserves the right to take technical and legal measures, insofar necessary, in order to enforce compliance with these terms of service. 5.1 Insofar required User hereby declares to be 13 years of age or older, or to have the consent of his parents/guardians for playing the games and/or use the other services of Exploders and to provide Exploders with personal data in connection therewith. 6.1 The intellectual property rights to all games/services offered by Exploders are the property of Exploders or of a third-party from whom Exploders has obtained the right to make available to User (part of) these services. 6.2 Exploders hereby gives User a limited, non-exclusive, non-transferable, non-sublicensable, revocable license to the games/services offered by Exploders, subject to User complying with the provisions of this User agreement. 6.3 Except insofar as permitted by binding law, User may not reproduce, decompile or reverse engineer the software made available to him or her. 7.1	All games/services offered on the Website are provided as is. Exploders does not warrant that the games/services offered on the Website will operate without interruption, be error free or suitable for any specific purpose, or that errors or other problems will be resolved in new or different versions of the games/services. 8.1 The content of the Website is compiled and maintained by Exploders with constant care and attention. However, errors cannot always be avoided. Consequently, no rights can be derived from the information and services offered on the Website. Except in the case of intent or gross negligence, Exploders assumes no liability for any damage resulting from the use of the Website, or from the use of the games/services offered on the Website, or from the incompleteness and/or inaccuracy of the information provided on the Website, or for any damage that is the result of the Website being (temporarily) unavailable. 8.2 The Website contains links and/or hyperlinks, in the form or advertisements or otherwise, to other websites that Exploders does not manage. These are included for informational purposes only and selected in good faith for Exploders’ target audience. Exploders gives no warranty and accepts no liability for the content, use and availability of such websites. 8.3 Insofar there is any liability of Exploders, this liability is at all times limited per event (whereby a connected series of events counts as one event) to the fees paid in the then current calendar year by User to Exploders for the services that gave rise to the liability of Exploders. 9.1 Exploders has the right to amend these terms at any time. If we have a User’s e-mail address, we will send the User an e-mail about this. If the changes are negative for the User, and the User objects to the changes of the terms of service, the User and Exploders both are entitled to terminate this agreement with a one-month notice (unless where your termination are rights as per mandatory legal obligations). Until termination has been finalized, the original terms of service remain in effect. Any payment made for games and/or services that extends beyond the termination date will be reimbursed to the User on a pro-rata basis. Further claims by the User are considered hereby invalid. 10.1 Dutch law applies to the Website and the use thereof, with the exclusion of its conflict of law rules. Any disputes arising from the use of the Website and/or information retrieved from the Website will exclusively be submitted to the competent court in Arnhem, The Netherlands, without prejudice to a Users rights to adjudicate a local court if so prescribed by consumer law. 10.2 In the event that any provision of these terms of services are declared void or unenforceable, parties will replace such void or unenforceable provision(s) with a valid and enforceable provision that is as close as possible to the economic, legal and commercial objectives of the void or unenforceable provision. Exploders owns and operates this website. You can get in touch with us via the contact form. Exploders respects your privacy and will ensure that the personal data that you may provide to Exploders is always treated confidentially and in accordance with European privacy law (in our case, the Dutch Personal Data Protection Act). 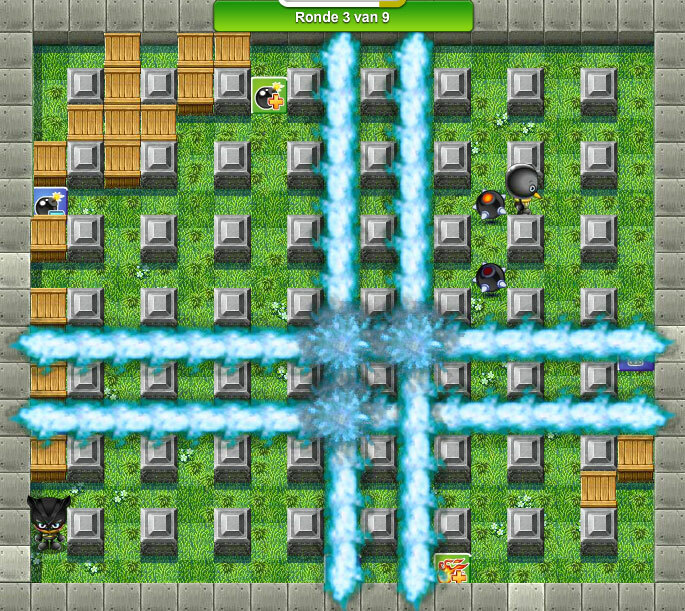 For some games it is possible or necessary to register on the website. When you do this, the following personal data is processed: name, user name, password, e-mail address, birth date and gender. Also, you can contact us via a contact form, in which case we process the name you give us and your e-mail address. Exploders processes this personal data for the conclusion and performance of the agreement between you and Exploders for playing games and using other services, to be able to contact you, to inform you about new games/services and/or offers from Exploders and its affiliates, to improve the website and services from Exploders, and to perform market-research for Exploders and its affiliates. Unless you have given your unambiguous consent to do so, we will not process your personal data for any other purposes. Your data is protected against unauthorized access and loss through the use of various electronic, technical, physical, administrative and contractual measures. The third party services described below also place cookies. Please refer to their privacy policies to see how. This website uses Google Analytics, a web analytics service provided by Google Inc. (Google). Google processes your IP address and information about how you use this website. This information is generated by means of cookies on your computer and then transmitted to computers of Google in the United States. Google uses this information to track how you use the website, to prepare reports on website activity for website operators like Exploders and to offer other services relating to website activity and Internet usage. Google may provide this information to third parties where Google is obliged to do so by law, or where such third parties process the information on Google's behalf. To learn about Google’s information practices visit: http://www.google.com/policies/privacy. This website also uses HoneyTracks, a web analytics service provided by HoneyTracks GmbH (Honeytracks.com, HoneyTracks GmbH, Schellingstraße 35 80799 Muenchen, Germany). 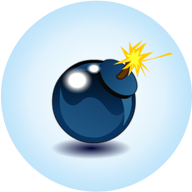 Honeytracks processes information about how you use the games on this website and uses that information to prepare general (anonymous) reports on website activity for Exploders. Embeded on our website are various links to social media networks such as Facebook, Twitter, Google Plus, and local social media networks (such as Hyves in the Netherlands). Within the scope of our web presence, the social media network links are identified by their respective logo’s. If you click on one of these links, then the respective plugins are activated and establish a direct connection via the user's browser to the service. Provided that the user clicks one of the aforementioned links while visiting our website, and is logged into their personal social media account, the information will be forwarded to that social media network that the user has visited our website, and that network can associate your visit to the website to your account. We use a service from AddThis (1595 Spring Hill Rd, Suite 300, Vienna, VA 22182) to implement the social network functionality. To learn about their information practices visit: http://www.addthis.com/privacy/privacy-policy. For further questions about the collection, processing or use of individual user data, as well as regarding disclosing, correcting, blocking or deleting data, please contact our data protection supervisors through the contact-form on this website. If you have questions about the processing of your personal data by Exploders, or if you want to see or change this data, please contact Exploders through the contact-form on this website.